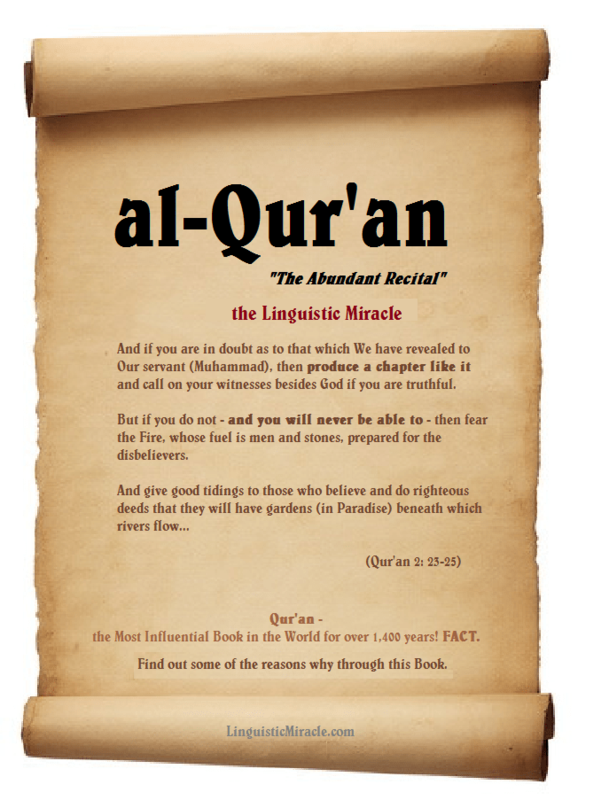 NEW Free Book Download: Qur’an – the Linguistic Miracle. 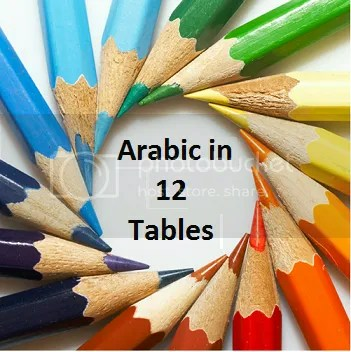 Learn to Understand Arabic in just 12 Colored Tables! You’ll love this book and learn how to understand Arabic within 1 month inshaa’ Allah! Many thanks for the NEW Book: Qur’an – the Linguistic Miracle. I was a long time follower of this website from the beginning also went to http://linguisticmiracle.blogspot.com.au/ for update time to time and collected all the old site content in zip file ,saved it, read it time to time now its a full book format and feeling absolute joy to see as book . Found that the book is more organised and easy to follow only thing is missing in the Meaningful Prayer is Tashahhud i would like to see that added which will make it complete. Most of Western Europe, Arabs who are predominantly Muslim are cunrertly immigrating to Europe at a massive rate not to mention they have pretty damn huge families.Also Europe has been having population problems for the past few decades and their birth rate is only 1.34 which means they are breeding in the negatives. It takes 2 people to have a child after all if 2 people only have 1 child then that cuts the population down in half. People making this HUGE effort do not require any appreciation from anyone! May Allah bless you all and make us all learn this amazingly gifted true miracle.